Honey bees almost have the entire first box full of comb. It has been two weeks since they arrived. I hope to add the next box later in the week. 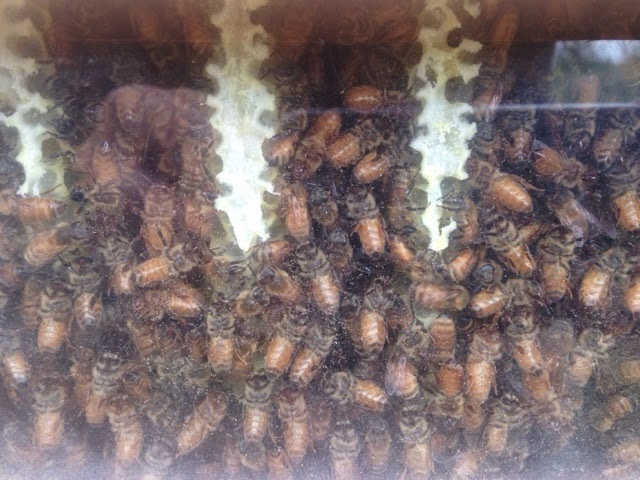 Arrival of the Bees !